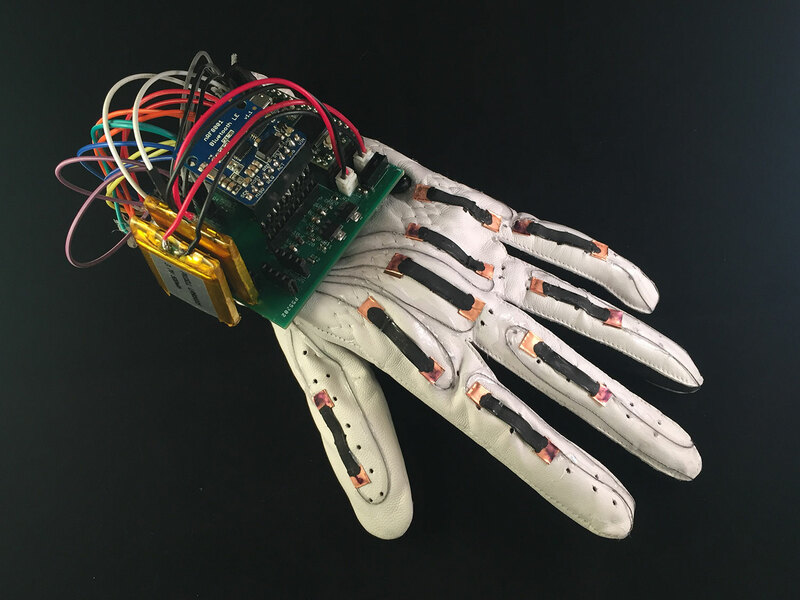 The team built the device using a leather athletic glove and adhered nine stretchable sensors to the back at the knuckles — two on each finger and one on the thumb. The sensors are made of thin strips of a silicon-based polymer coated with a conductive carbon paint. The sensors are secured onto the glove with copper tape. Stainless steel thread connects each of the sensors to a low power, custom-made printed circuit board that’s attached to the back of the wrist.